I've been subscribing to the Image of the Day from NASA for a while now, but this is the most amazing image yet. I can't stop looking at it. 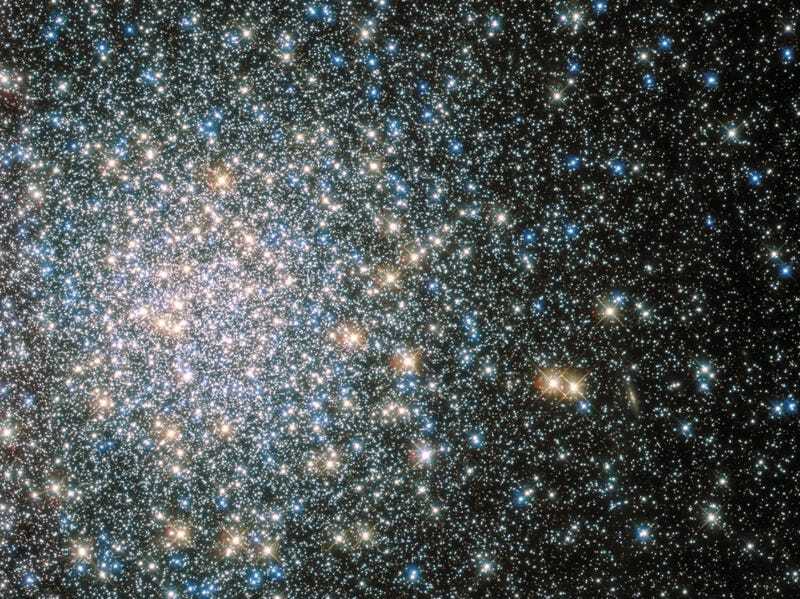 This is Messier 5, a globular star cluster that contains more than 100,000 stars. That's more than Cannonball Run had! It is called Messier 5 because it was the fifth cluster cataloged by 18th century astronomer Charles Messier. The image was captured by the Hubble telescope which recently celebrated a birthday. As always, I highly recommend that you go to www.nasa.gov and sign up for email updates so you can enjoy these images every day.